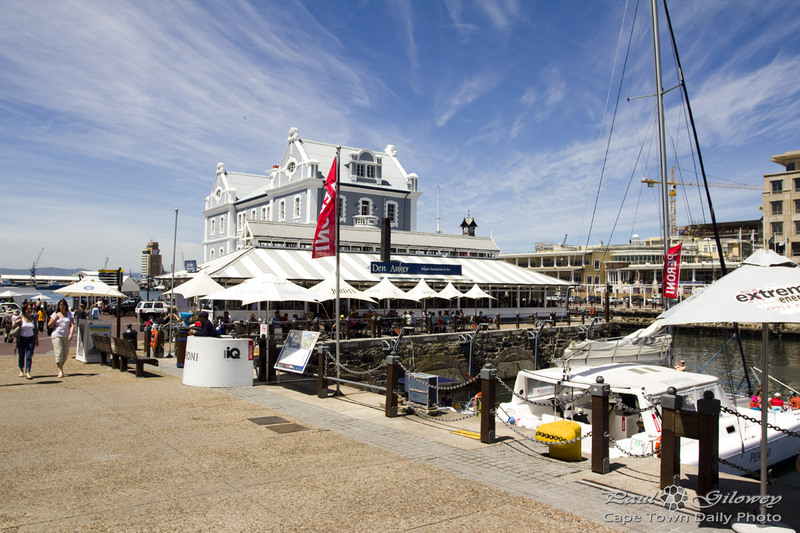 Some of our little tour group hadn't yet visited the V&A Waterfront, so we made this the third stop of our one-day peninsula trip. Our party spent about an hour visiting the Blue Shed craft market - where they bought a few African treats. I thought about swinging past one of the roadside informal markets to get a better deal, but time wasn't on our side, so we paid the premium Waterfront prices (which weren't actually so expensive, anyway). Posted in General and tagged v&a waterfront on Thursday, 25 October, 2012 by Paul. The V&A is not that expensive for curios. I found Greenmarket Square to be, unless you want to buy 10 items and from one vendor. Looked like a stunning day there to be at the waterfront. :( Miss it! Yes, Greenmarket Square is tourist-central. But then… I guess that most of Cape Town is. Perhaps the best place to get good deals is at craft markets in the suburbs… they cater for locals mostly.